At D’Angelo/Olson La Jolla Dentistry our doors are always open to new patients. You have made a noble decision to value your oral health care, as the health of your mouth is directly tied to the health of your body as a whole. The doctors and their staff pride themselves on developing individual relationships with each new patient. In the fast-paced world of medical care, we have remained true to our core values of patient-centered care and will never waiver from those ideals. A tour of the facilities and an introduction to the office by one of our friendly team members. If not taken recently, a set of dental x-ray images may be suggested by our doctors to accurately diagnose your oral condition. You are welcome to forward copies of old x-rays, or we would be delighted to handle that for you at your request. An in-depth examination and discussion with one of our doctors. We encourage you to ask as many questions as you would like. It is our desire to listen to your concerns and address them in a timely and efficient manner. If treatment is recommended, one of our highly trained financial coordinators will assist you in developing a financial plan to meet your budget. 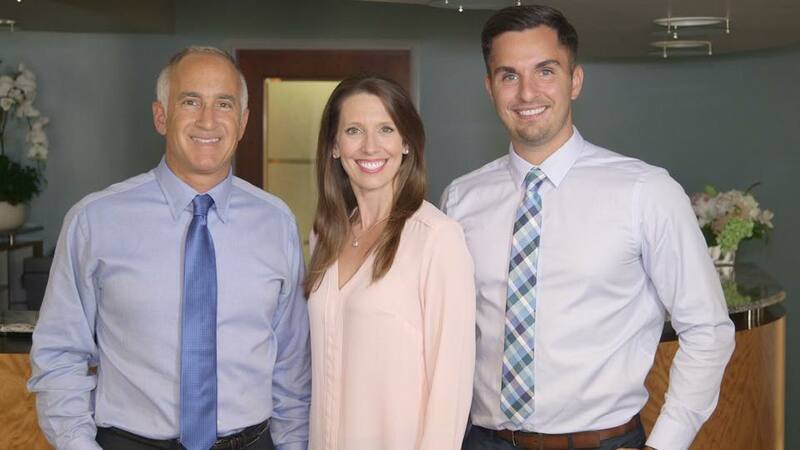 At D’Angelo/Olson La Jolla Dentistry, we pride ourselves on using only the finest of materials to maintain our elite level of dental care and to better serve the long term condition of your mouth. In order to provide services of this quality, and to allow our doctors the flexibility to take the appropriate time necessary to treatment plan your cases and get to know you and your family as individuals, we are a fee for service office. What this means is that we participate with all PPO plans as an out-of-network provider. For a more detailed explanation of your financial responsibility, please contact our office to learn more! Great! What Do I Do Now? Welcome to our family. We invite you to learn more about the doctors, our services, and our team by following the “About” tab on the top of the page. If you are ready to schedule an appointment, please click on the “Schedule an Appointment” tab on our Homepage or call 858-459-6224.